The Studio Foundation session is the place to start if you are new to the studio. It’s a 45-minute private session, scheduled by appointment. This integral session is where everyone starts, regardless of prior experience. It’s important because, while we do offer Pilates, we also offer so much more than a traditional Pilates studio and it can be hard to figure out where to start or what’s best for your goals without expert guidance. At Pilates Tonic, we help you discover the core connections and alignment in your body. These connections must be in working order before you head into any class setting so you’ll get the greatest benefit from our classes, private sessions and workshops, as well as every other physical activity in your life. 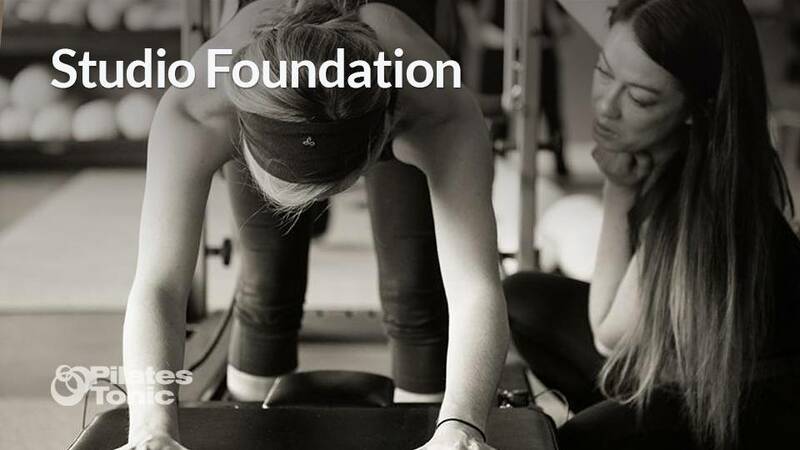 In the Studio Foundation session, we’ll also cover some of the other modalities we offer in the studio, such as fascial conditioning, Stretch Therapy™, Restorative Exercise™ and FST™ (Fascial Stretch Therapy™), Monkey Gym and guided cardio/running. Most importantly, your introductory private session allows us to get to know each other and it helps you determine if Pilates Tonic is a good fit for you and your goals. The Studio Foundation session on its own is $55 and lasts 45 minutes. Once you’ve completed at least one Studio Foundation session, you’ll be qualified to take most of the classes and workshops we offer. We also offer a Studio Foundation Package that consists of 3, fifty-five minute private sessions and this will give you a deeper analysis and training designed specifically around your body’s unique needs. The major benefit of the 3-class package is the deeper understanding you get about your body and how you can more rapidly make the changes and improvements you most want. The Studio Foundation Package is $195. and we’ll make sure you get an answer within 24 hours! I am 65 and need to drop at least 50 to 60 lbs. Is pilates a fit for someone my age? Does this exercise carry over at home or is it in a class setting only? I am retired and, unfortunately, have let myself go. Just wanted to find a fit for me. Not sure this is it but thought I would check. Hi Rebecca, The techniques we offer at Pilates Tonic are appropriate and perfect for someone your age! Our aim is to provide you with tools to help keep you moving in your daily life. The beauty of the majority of the work we teach, is that it can easily be carried over at home and we encourage you to do so. Hope this helps and we’d love to meet you! Thanks for your questions! I am 19, I have several health issues that cause me to have joint pains and am currently looking for a workout that will help me lose some weight and be beneficial to my health/joint issues. I am also unfortunately, introverted, I was wondering about the size of your classes? Hi Isabel! Our classes are very small and limited to 10 people. On average we have between 3- 8 people in a mat class. Depending on the time, and the day, there are some classes that tend to be smaller. We’d love to meet you! Don’t hesitate to let me know if you have any other questions. Thank you! Hi! I am 42 with a one year old. I’ve had an issue with my right front hip since I was 9 months pregnant. I have pain directly below the bone where my hip protrudes which prevents me from sitting Indian style. I also wake up frequently with aching pain in my lower back on same side. My GP said out was a strain, prescribed steroids for a week, which helped immensely, but did not resolve the pain. Lastly, I have adhesions around my shoulder blade which cause issues with shoulder flexibility. All of these problems occur on the right side of my body. I’ve lost most of the baby weight but also lost a lot of muscle and everything is flabby. I’d like to get into shape again and focus on exercises that will also assist in relieving issues described. I don’t live nearby, I’m in NC. How do you suggest I begin? Thanks so much, in advance! Hi Valley, Were you considering visiting the studio in Chattanooga? If so, there is a lot we can do within a private session or Restorative Movement session to set you up with things you can do at home. If you are near Asheville, there’s a fantastic studio I can recommend!